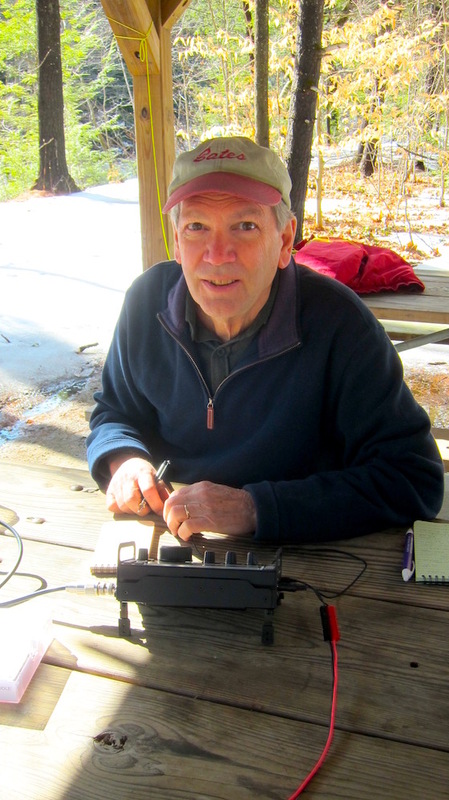 Today it was 54 F in central New Hampshire at Profile Falls, just south of Bristol, NH when Jim Cluett, W1PID and I decided to take my new Elecraft KX3 radio out for it’s outdoor christening. Normally the outdoor temperature would be 20 F or lower and there could be 3 feet of snow everywhere you look. Experts say it’s been the warmest winter in living memory. Overnight a strong storm blew through the area bringing heavy rain and rising temperatures. We decided to set up in the nice picnic shelter knowing the tables would be dry. 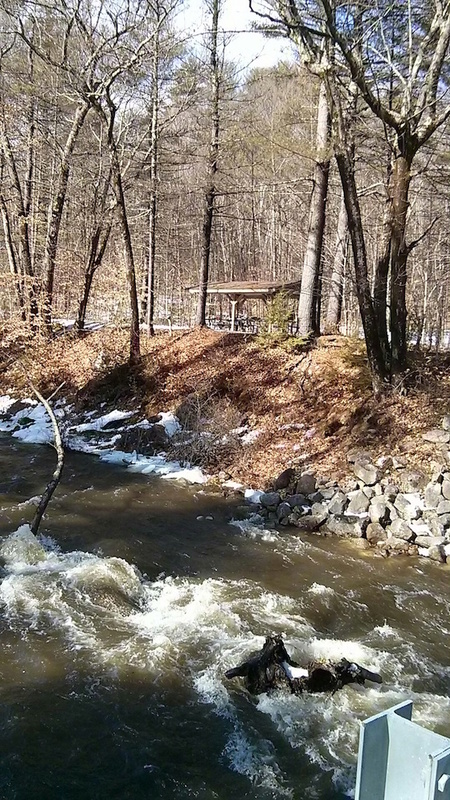 The Smith River is immediately adjacent to the shelter and it was swollen with icy raging water from all of the overnight rain and melting snow. 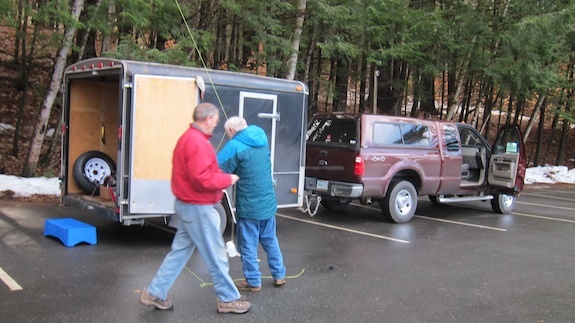 We used Jim’s 29-foot wire antenna and 9:1 unun. It was hanging from a branch right over the shelter. 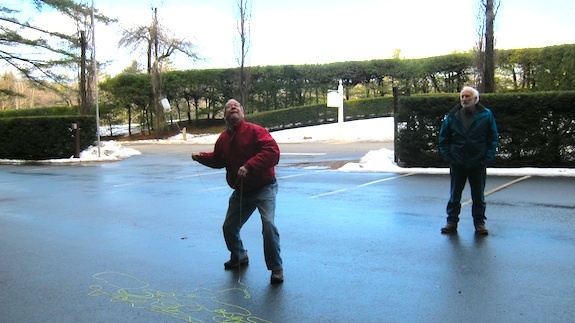 Fortunately the air temperature was warm so Jim’s fingers didn’t get cold as he was putting up the antenna. Prior to leaving for the outing, I had contacted Carter Craigie, N3AO and asked if he was going to be around. He responded he would and he’d listen up for us on or around 14.060. After a few minutes of me hunting for anyone on the air and calling CQ a few times, I heard N9ZXL calling. I answered back, but he didn’t hear me. Such is outdoor radio! Jim took over and made a few adjustments on my radio. I got up and stood in the glorious sunshine looking down at the raging water of the Smith River. Within a few minutes, Jim was on the air with Carter Craige. He wanted to chat with me, not Jim. Jim’s worked him countless times. I sat down and Jim handed me my mini Pico Paddles. Carter slowed down for me and I could hear every character. 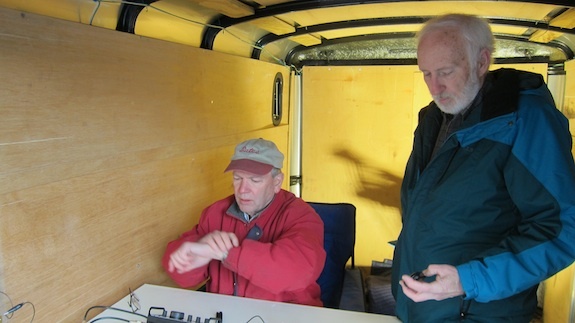 After our quick QSO ( an amateur radio acronym / slang for conversation) ended, Jim took over and tried to work a very strong DX station from Kuwait, but it was not to be. Jim had worked the operator before, but today he couldn’t hear Jim’s return signal. We decided to pack it in and it’s a good thing we did. Within the hour a brief rain shower was upon us. It was exciting to work Carter Craigie, a new friend I met eighteen months ago at the ARRL Centennial Convention. If all goes well, my new KX3 is going to get lots of exercise in the upcoming warm months that are just ahead! 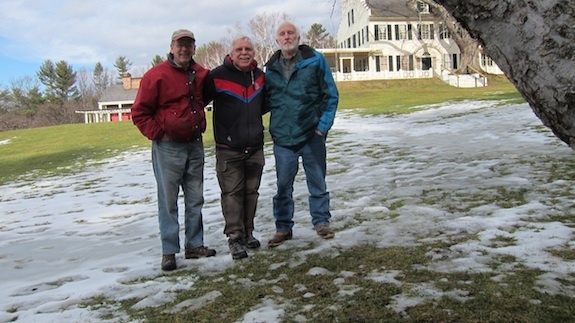 A little over a month ago the plans to activate Saint Gaudens National Historic Site as part of the ARRL’s National Parks on the Air (NPOTA) year-long event were proposed by Dave Benson, K1SWL and Jim Cluett, W1PID. When the NPOTA announcement came out, Dave was quick to recognize there were two, maybe three places in all of NH to activate. We thought we’d have to wait until spring when the warmer weather wandered into our fair state. But Mother Nature served up a tolerable day yesterday as part of her ongoing El Niño performance gifting us with one of the mildest winters in living memory. You may not recognize the name Saint Gaudens, but you’ll surely recognize some of the creations of this supremely talented American sculptor, Augustus Saint-Gaudens. He created hundreds of pieces of art that are on display around the USA, but his most famous work, many believe, is what he did for the US Mint. 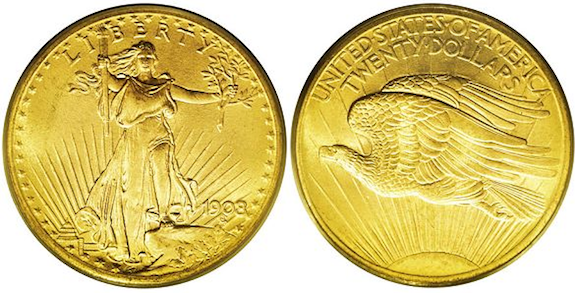 He created the design for the historic $20 gold piece. “Guys, look at the weather forecast for next Thursday, 49 F and sunny!” I sent that email about six days ago to Dave and Jim. Both agreed that we should attempt the activation. We decided to use my humble 6 x 10 x 6 covered utility trailer to keep us out of the weather. 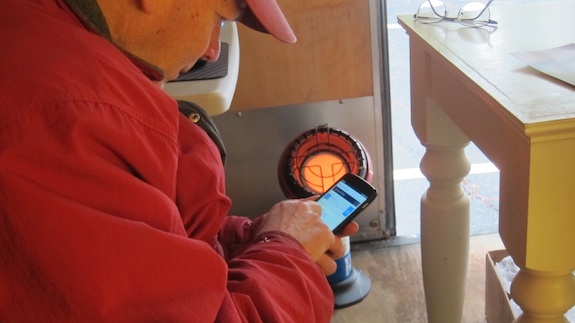 Two small propane heaters were employed to take the chill off. It turns out it worked far better than we thought. The trailer was the perfect size for three people and my two small propane heaters made it feel like April inside our portable ham shack on wheels. Because we decided to do a low-powered operation, it was important to get the antenna as vertical as possible. The trees surrounding the trailer provided plenty of perfect branchs and Jim made sure he got the exact one to give us the best results. Our antenna was just a simple 29-foot piece of 20-gauge wire connected to a 9:1 unun. Dave suggested we install a thin counterpoise that stretched about 25 feet out along the ground. The combination of the two elements worked well as we logged two European stations and made it out to the west coast of the USA as well! It only took us about twenty leisurely minutes to get set up and transmit. We used Jim’s Elecraft KX3 and set the power at 8 watts. For the first few minutes, Jim tried calling CQ. Someone was occupying 14.063 that we had advertised on the ARRL website. Jim moved to 14.062 and no one came back after fifteen or twenty CQs. “This is fun.” Jim is the master of deadpan humor. Dave took over the key and Jim decided to put a spot out on the DX Cluster website. Days before it was decided to use small laptops to do all the logging. Jim was unfamiliar with the keystrokes required to log call signs in Dave’s program. Frustration bubbled up moments after Jim successfully spotted us. Within 15 seconds of Jim creating an entry for us on DX Watch, all hell broke loose. “We let the tigers out of the cage,” was the way Jim described the mayhem that ensued as we drove home later in the day. Watch the video below to feel the intensity of part of the pileup. Jim and Dave quickly changed seats with Jim on the key and Dave logging. In a period of just 40 minutes we logged 55 QSOs. I couldn’t believe that was coming out of Jim’s mouth. No way was that possible. We took a short break for lunch. Jim and Dave needed to regain energy after pounding the brass for nearly an hour. For the time being, all who wanted to log us had pushed back from the feeding table and the frequency quieted down. 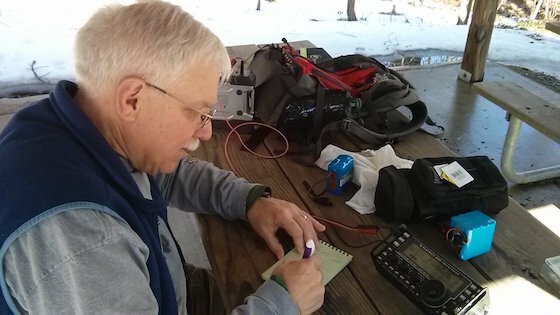 After a few chocolate chip granola bars, Dave jumped on the radio, and it didn’t take long to get us up to eighty or so QSOs. My CW listening skills are not that well developed to be able to do what Jim and Dave were doing, so I just sat there and soaked up the entire experience. I also helped with the logistics and all of the creature comforts. After two hours of operating, we decided to pull the plug and head home. We were excited about the adventure and we believe we made another eighty chasers quite happy to have Saint Gaudens in their logbook. Jim didn’t come down from the clouds for about six hours. He was thrilled with working the pileup. 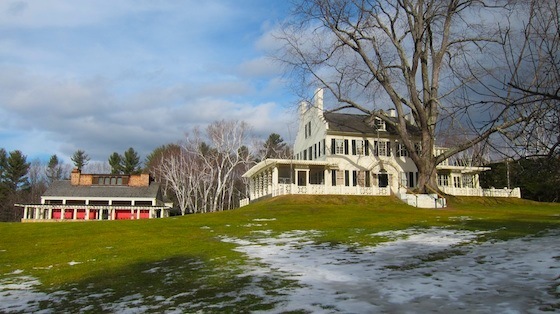 We plan to go back when the weather is warmer and operate from a fantastic arbor-shaded side porch that’s part of the Saint-Gaudens mansion up on the hill.